THIS SITE BEST VIEWED ON THE CHROME BROWSER. Use Ctrl + to make text bigger. Baseball Short Story: "It Took a Tragedy to Change the Rule"
Will the Tigers Make a Regional? Short Story: Outlaw Football in Georgia! As offensive production surged, yet another advantage went the way of batters but only after one of the sport's great tragedies. On August 16, 1920, a critical contest loomed at the Polo Grounds between New York and Cleveland, teams that were in a virtual three-way dead heat with Chicago atop the Ame­rican League standings. A steady rain hampered visibility and caused the ball to be mud-stained, omi­nous signs for batters who crouched over the plate facing pitchers who threw inside. 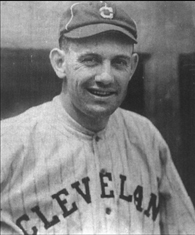 Starting for the Yankees would be beanballer Carl Mays, whose willingness to throw at batters the Indians had ob­served themselves on May 20, 1918, when one of his pitches had caromed off player-manager Tris Speaker's head with such force that the ball landed in the stands. Shortstop Ray Chapman, who batted ahead of him in the lineup, had witnessed it all. It had been two years since that incident when Chapman, regarded as one of the best "number two" hitters in baseball, led off the top of the fifth inning with Cleveland ahead 3-0. Crowding the plate as always, he had worked the count to 1-1when Mays unleased his trademark underhand fastball, scra­ping his knuckles on the ground as he completed his follow-through. The ball sailed directly toward the head of Chapman, who remained motionless as the baseball cracked against his unpro­tected skull. 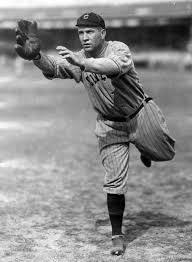 A terrible thud, heard by Babe Ruth in RF, echoed throughout the park as the crowd gasped in horror. Chapman fell to the ground barely conscious, unable to speak, blood pouring from his left ear. After a few agonizing minutes, he struggled to his feet and headed toward the clubhouse as a prematurely relieved crowd applauded, but the injured ballplayer collapsed and needed help off the field. Team­mates rushed him to the hospital, where he passed away the next morning. Mays met the following day with Assistant District Attorney John F. Joyce, who ruled the death an acci­dent and declined to press charges, but American Leaguers were less forgiving. They called for a boy­cott of games in which Mays pitched, while the Red Sox and Tigers drew up a petition calling for his banishment from baseball. Not everyone, however, thought the sumariner had aimed for Chapman's head. Eyewitnesses indicated that the pitch may have been in the strike zone and reported that Chap­man seemed "hypnotized" at the plate. Sportswriter Fred Lieb wondered, "Why didn't he react, duck, throw himself to the ground?" Speaker, who was standing on deck at the time, held Mays blameless for the death of his friend, and Chapman himself expressed no ill will toward the P. After briefly regain­ing consciousness, he said, "I'm all right. Tell Mays not to worry." He was not all right, and Mays did not worry. Mays claimed it was an accident and he had a clear conscience, Instead, he blamed umpire Tom Connolly for failing to remove the dirty baseball, but Connolly placed responsibility for the tragedy in the prodigious lap of Ban Johnson. 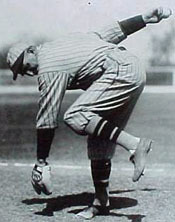 After American League owners had complained about the excessive number of baseballs discarded, Johnson directed umpires to keep balls in play until they became "dangerous.' Connolly had been following orders. Whoever held responsibility, a darkened baseball had contributed to Chapman's death and forced a revision in policy. League officials now ordered um­pires to remove scuffed, soiled, or misshapen balls and substitute new white ones. The new regulation ended a long-standing practice. Before when umpires threw in a new baseball, pitchers wiped it across the grass to rub off the gloss and tossed it around the diamond to teammates, who applied whatever substance they had at their disposal. No more. Also, given that thrifty owners expected umpires to keep baseballs in play as long as possible, occasionally one lasted a full nine innings. "We'd play a whole game with one ball, if it stayed in the park. Lopsided, and black, and full of tobacco juice and licorice stains," Crawford recalled. No more. Advantage offense. Will Tigers Make a Regional? After losing to ULL in the Pontiff Classic Tuesday night, the Tigers were clobbered by Florida 16-9 in the opener of a three-game home season. As expected, Zack Hess did not start for LSU after pulling a groin muscle last Friday in the opener at Missouri. Ma'Khail Hilliard took Hess's place and gave up six runs in the second inning. Throwing an impressive 12-to-6 curveball, Hilliard was outstanding as a freshman last year, going 9-5 with a 3.79 ERA and a 70/31 K/W ratio. But he isn't as sharp this year: 4.97 ERA with only four starts and no victories. He has 28 K but 14 BB. Another Tiger who had an outstanding freshman year on the mound but is struggling now is Eric Walker. He came on strong in 2017, posting an 8-2 mark. He was outstanding in the Tigers' drive to the World Series finals with a 1.02 ERA in three starts in the SEC and NCAA Tournaments. Then he underwent Tommy John surgery on his right elbow in the summer of 2017 and sat out the entire 2018 season. He's struggling to find his groove this year. He pitched a marvelous game at Mississippi State, holding the hard-hitting Bulldogs to four hits in seven innings. He looked like his 2017 self that day, his late-breaking slider diving down and away from the right-handed hitters over the outside corner. But overall this season, he is 2-3 with a 5.79 ERA in only 37 1/3 innings. Catcher is another "lost" position. Manieri, the old C himself, announced JC transfer Saul Garza as the starter during fall practice. But an injury has limited him to DHing, in which role has has hit only .214. That opened the starter's job to sophomore Brock Mathis who has been a disaster - .170 BA while leading the league in passed balls and allowing by far the most stolen bases in the SEC. 2B has been another difficult position. Hal Hughes is hitting only .192 and Brandt Broussard .224 thanks to a recent spurt. Both are fine in the field but need to contribute more offense. The immediate challenge for the Tigers amid the injuries is to make the NCAA tournament. Injured players, especially pitchers,will have to return soon - and contribute at least close to their capability - for them to have a shot at hosting a regional. Like thousands of young pitchers, Mike Mussina started his career with a fastball that simply dominated opposing hitters. But unlike almost all others, Mussina's drive and determination fashioned a career that took him all the way to Cooperstown. "In high school, I could just throw the ball and nobody was going to hit it, and I kind of knew that as soon as I stepped on the mound," Mussina said. "But as soon as I got to college, I realized I couldn't do that anymore. So it was all about constantly working on stuff," he continued. "Can I throw a better curveball? Can I throw a slider? How about a changeup? You keep changing grips." Mussina soon learned that he could make the ball do almost anything. He thrived at Stanford, both in the classroom and on the field, graduating in three-and-a-half years with a degree in economics and being drafted in the first round by the Orioles in 1990. Mussina stayed only briefly in the minors and arrived in the majors in August 1991 for a start against the Chicago White Sox. Another future Hall of Famer, Frank Thomas, homered to beat him, 1-0. 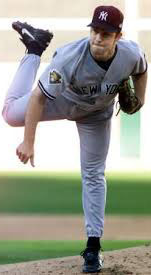 But by the time Mussina finished his career with the Yankees in 2008, he had gone 270-153 with a 3.68 ERA and the best strikeout-to-walk ratio (3.58-to-1) of any pitcher with at least 500 career starts. Only six pitchers have more wins than Mussina and own a better winning percentage: Lefty Grove, Christy Mathewson, Roger Clemens, John Clarkson, Randy Johnson and Grover Cleveland Alexander. The essence of Mussina was continuous innovation, motivated by a constant fear of being replaced by someone better. "It never stays the same, and the only way to stay in it long enough is if you're one step ahead of knowing that it's never going to stay the same. When I'm 30, I won't have the same stuff I had when I was 25. I better know more, or I won't be playing anymore." When Mussina was a young guy, he made it seem easy. He earned All-Star selections in each of his first three full seasons, baffling the league and his teammates with two kinds of curveballs. The one he used most often came from a college teammate. But the better-known version was his knuckle-curve, a pitch he taught himself as a boy in Montoursville PA.
Mussina explained: "When I was a kid, I couldn't throw a curveball. So I started messing around." He worked on everything - sinkers and cutters, changeups and splitters, sliders and curveballs, and good, old-fashioned four-seam fastballs. One of his catchers, John Flaherty, a backup with the Yankees 2003-5, tells a story that summarizes Mussina's career. "I was catching him one day, and he's doing a crossword puzzle in the training room. I went in and said, 'Moose, you want to talk about the lineup?' And he answered, 'Why would I do that?'" Flaherty was furious at the perceived arrogance of a pitcher he had not caught much before. Then Mussina started laughing. "He said, 'John, why would I talk about how I'm gonna get them out? I don't know what I have today. I'm gonna go to the bullpen, get loose and figure out what I have, and when I walk from the bullpen to the dugout, I'll tell you how I'm gonna get them out.' I was amazed, but that's what he did. In that five-minute walk, he broke down every hitter. He was a power pitcher one time and a finesse guy the next, depending on what he had." At age 39, Mussina won 20 games for the first time. That 2008 season left him with 270 career wins, and he knew that if he came back for one more season and got close to 300 victories, he would feel enormous pressure to keep going. So he called it a career, going out on top in a way few others ever had. 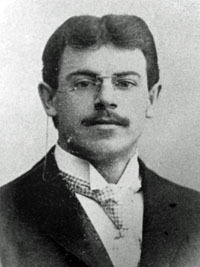 John Heisman was in his third year as coach at Auburn. On the same day Auburn played Sewanee, an event oc­curred in Atlanta that threatened the very existence of intercollegiate football. While the University of Georgia was playing Virginia at Brisbane Park on October 30, 1897, Bulldogs FB Richard Von Gammon was seriously injured in the early part of the second half. According to a report in the Atlanta Constitution on October 31, 1897, "Gammon was in the crowd and he made a lunge at the player who had the ball. He missed his tackle and was thrown violently to the ground. He fell with a thud, and the strong, heavy men tumbled over on top of him. Some say Gammon's head hit his shoe as he almost doubled when he was thrown. Others claim his head struck the hard ground. The fearful fall stunned Gammon, and he was picked up dazed and half unconscious. He quickly commenced to vomit, and it was seen by those who ran to his assistance that he was badly hurt. He turned white and the color left his features entirely." According to the report, a physician was summoned from the grandstand, and the doctor "injected morphine into the injured man's chest in the hope that he could be revived and saved from the pains." Von Gammon was rushed to nearby Grady Hospital, where he died at 3:45 A.M. the next day, according to the Constitution. It would be the greatest favor to the family of Von Gammon if your influence could prevent his death being used for an argument detrimental to the athletic cause and its advancement at the University. His love for his college and his interest in all manly sports, without which he deemed the highest type of manhood impossible, is well known by his classmates and friends, and it would be inexpressibly sad to have the cause he held so dear injured by his sacrifice. Grant me the right to request that my boy's death should not be used to defeat the most cherished object of his life. After hearing of Rosalind Burns Gammon's request, Atkinson, on December 7, 1897, vetoed the bill outlawing football. Auburn reassembled its team within a few weeks, but the Tigers had already been forced to cancel the rest of their games during the 1897 season, including the Thanksgiving Day game against Georgia. Heisman later recalled: "In '97 we had a great aggregation of players; but the untimely death of one of Georgia's star players in mid season led to the cancellation of the Thanksgiving Day game; and without that we could not worry through the financial end of the work, so we also had to disband." On December 18, 1897, representatives from the schools that were charter members of the Southern Intercollegiate Athletic Association met at a hotel in Birmingham, Alabama, to discuss ideas of how to make football less violent. Some members discussed seven-men-on-line rules and the prohibition of mass play. Heisman believed he had the answer for opening up the game of football that would put less emphasis on the line of scrimmage, where rough play and serious injuries usually occurred. Heisman didn't actually invent the forward pass, the play that would change football forever, but he ended up being its biggest proponent after witnessing a pass while scouting a game between North Carolina and Georgia on October 26, 1895, in Atlanta. The play evolved because of the desperation of North Carolina FB Joel Whitaker, who threw the ball forward to teammate George Stephens while trying to punt out of his team's end zone. Over the next several years, Heisman campaigned for the legalization of the forward pass, believing its inclusion would open the game up and eliminate many of the sport's serious injuries. Heisman wrote many times to Walter Camp, head of the football rules committee, about legalizing the forward pass, which was finally approved in 1906. 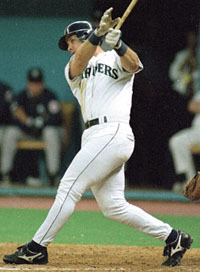 Edgar Martinez faced 14 eventual Hall of Fame pitchers during his 18-year major-league career, batting a combined .321 (70-for-218) against them. But competing against the best wasn't his biggest challenge. For most of his life, Martinez has had strabis­mus, a rare eye disorder that prevents the eyes from working in tandem. It's so rare among pro­fessional baseball players that, to this day, former Seattle Mariners optometrist Dr. Doug Nikaitani is amazed that the newly elected Hall of Famer could pull it off. "It's a tribute to Ed­gar's dedication and work ethic to accomplish what he did." A terrific two-strike hitter throughout his career, "Gar" was worked to a full count by the voting members of the Baseball Writers' Association of America before receiving an impressive 85.4% in his final year of eligibility in January, easily sur­passing the 75% requirement. Martinez, a seven-time All-Star, began his career in 1982 as a slender, non-drafted free agent out of Dorado, Puerto Rico. He ended it in 2004 as the Triple Crown champion among designated hitters, leading everyone who played that position in career batting average, home runs and RBI. He won the Outstanding Designated Hitter Award five times - and in his honor the award was renamed the "Edgar Martinez Outstanding Designated Hitter Award" by former MLB Commissioner Bud Selig in 2004. Martinez made his mark in the game while battling the eye disorder that he rarely talked about and never discussed for publication. "The problem wasn't my vision. My vision was 20-20. The problem was the muscles. My eyes just didn't work together." It was during a routine physical examination prior to Spring Training the mid-1980s when Nikaitani noticed that the muscles behind Martinez's right eye were weaker than the muscles in his left eye. That caused the right eye to move and distort his sight, making it difficult to differentiate between fastballs and breaking balls - and at time even pick up the flight of the baseball. A number of exercises were prescribed, including tracking tennis balls with a number of them jettisoned out of a mechanical pitching machine in the batting cage. Martinez also studied cards with colored dots on them prior to each game. But it remained an ongoing battle. "I would take more pitches just to track the ball," he recalled. "That's why I would never swing at the first pitch." Opposing pitchers never knew. "There were times when I expected the pitcher to throw a fastball, but he would throw a breaking ball and I couldn't pick up the rotation." The eye issue became so bad in 1999 that there were times when Martinez would lose sight of the ball altogether, causing him to worry about getting beaned and severely injured. At one point during that season, the Mariners considered putting him on the disabled list. Martinez even thought he might have to retire. But a few days off and intensified eye exercises made it possible for Martinez to con­tinue his Hall of Fame career without going on the DL or undergoing risky eye sur­gery,something he put off until just three years ago. What is mind-boggling is the way Martinez was able to cope with the disease and become one of the best hitters in the game for such a long time. He is one of just nine players in baseball history to have 300+ HRs, 500+ doubles, 1,000+ walks, a career batting average above .300, an on-base percentage above .400 and a slugging per­centage above .500. That list is limited to six fellow Hall of Famers - Lou Gehrig, Rogers Hornsby, Chipper Jones, Stan Musial, Babe Ruth and Ted Williams as well as Todd Helton and Manny Ramirez. Martinez became a fixture in the Mariners' lineup in 1990 - at age 27 - playing 3B. But a number of leg injuries limited him to 42 games in '93 and 89 in '94, prompting manager Lou Piniella to move him to DH prior to the 1995 season. It turned out to be one of the best moves the organization ever made, although Martinez was initially reluctant to make the switch. That season Martinez became the first full-time DH to win a batting title, hitting a career-high .356. It came as part of a stretch from 1990-2001 that saw hit hit at least .300 in each season that he played at least 132 games. The apex was a monster 2000 campaign when he smashed a career-high 37 HRs and led the AL with 145 RBI, all while batting .324. With Martinez remaining healthy in his new role, the Mariners made the playoffs four times between 1995 and 2001, capped by the '01 squad that won an American League-record 116 games. This site is devoted primarily but not exclusively to college and pro football. The unique feature of this site is the publication each fall of the author's rankings of all FBS college football teams and similar rankings for the NFL. I live in New Orleans and am a graduate of LSU and FSU. So I present a Southern and particularly an SEC point of view but one that is reasonably objective. I also publish a monthly Football Magazine with stories from the past and a monthly Baseball Magazine with a similar format. During the winter and spring, there's a monthly Basketball Magazine. Short Story: "War and Pieces"